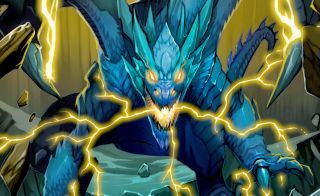 After around three years in early access, the free-to-play, digital collectible card game SolForge launched officially last year. Unfortunately, after just over seven months, it's been announced that SolForge is shutting down, an action that will take effect on January 31st. Stone Blade Entertainment CEO Justin Gary broke the news in a blog post, revealing that "as of today, we are ceasing development of new content for the current implementation of SolForge. We will continue to maintain the servers through the end of January 31, 2017. This isn’t the way any of us wanted SolForge to end. Unfortunately, we bit off more than we could chew trying to build a digital game of this scope and have learned many hard lessons along the way that we will apply to future games (including future incarnations of SolForge)". If that last bit has you hopeful that SolForge could return in the future, know that Stone Blade "remain passionate about the SolForge community and we are not done exploring the world of Solis. We are also speaking with potential partners who may be able to take over the SolForge IP and remain hopeful that SolForge will return one day, better than ever".